When you need help with pipe repairs and leaks in Webster, NY, G.T. Campbell is here for you. We know that leaks can cause quite a bit of damage to your home, which is why we are available 24/7 to help you out. Even if you find a leak in the middle of the night, we have experienced plumbers who will come out and stop the flow of water before it does too much damage to your house. 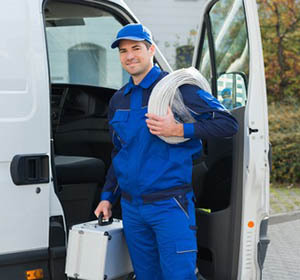 Not sure if you need help with pipe repairs and leaks in Webster, NY? Here are some signs that it’s time to call a Webster NY plumber. You notice damp walls, ceilings, or floors. Any dampness can indicate a pipe leak behind whatever is wet. Even if you just see dried water stains, give us call. Some leaks only happen occasionally but, if left unattended, can still cause massive damage. Recurring mold and mildew. If you find mold and mildew in the same place, repeatedly, even after treating for it and cleaning it, you may have a pipe leak. Mold and mildew love to grow in damp places. Extra green or muddy places in your yard. If your sewer is leaking, the substances it releases will make your grass grow faster and greener in those locations. Give us a call and we’ll find the leak and make the sewer repair for you. Ready to fix all of your broken pipes and leaks? Give us a call and we’ll come out quickly, assess the problem, and repair it efficiently so you don’t have to worry anymore.